Wisdom of the Crowds Theory: What is it and How Does it Work? The “Wisdom of the Crowds” theory is the theory that large numbers of people are smarter than individuals and make better decisions over time. This theory was first postulated by James Suroweiki, when he wrote a book about it called, The Wisdom of the Crowds. In Suroweiki’s book, he demonstrated that large groups have made wiser decisions in a number of different areas. These areas include biology, psychology, behavioral economics, pop cultures, and many other different areas. Basically, the wisdom of the crowds theory relies on the principle that a group of people possess a greater level of knowledge than an individual, or just a few individuals. Because of this fact, it is easier for a crowd to make better decisions than just one or two people. In other words, “collective judgment” can be a lot more accurate and higher quality than individual judgment. There are many ways that the wisdom of the crowds can be applied to cryptocurrencies. For starters, the extremely high number of people who are getting into cryptocurrencies reflects that there is a large crowd supporting this financial movement. In fact, one of the largest cryptocurrency exchanges in the world, Coinbase, adds as many as 1 million new accounts every month. It is much easier to say that cryptocurrencies are probably going to be a long-term trend when you consider the high numbers of people who are pouring into them. It would be a lot less convincing to say that cryptocurrencies are going to be a popular trend if you simply look at a handful of investors who have invested in them. 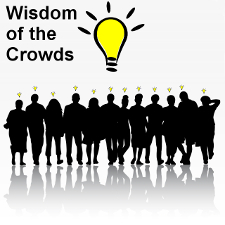 The wisdom of the crowds theory can also be used by people who use data to make predictions. This is because people who do this can scan large volumes of data to try to assess what a certain population’s opinion is on a given topic. So for example, if someone is trying to figure out whether the price of Bitcoin will rise or fall, he or she can scan data for a population to try to find out what the wisdom of the crowd is. It is possible, for example, to use web bots to scan search engine results to see if more positive Bitcoin news stories are being read, or if more negative Bitcoin news stories are being read. Predictions can be made off of such data. Decentralized prediction markets are another way that people will be able to use the wisdom of the crowds theory to predict the outcome of future events. A decentralized prediction market is a market that runs on a cryptocurrency blockchain, such as Ethereum, and that allows people to place bets on whether or not particular outcomes will occur. So, for example, with a decentralized prediction market, a person could place a bet about whether they think a democratic candidate or a republican candidate will win an election. Such prediction markets will provide incredible amounts of data for anyone who wishes to make predictions about certain events. Decentralized prediction markets such as the one currently being created by Augur will have many different event types that can be bet on. These could include politics, sports, weather, business events, etc. These markets will provide incredible wisdom of the crowds data which could be used by businesses or by individuals to help guide business and investing decisions. For example, if a decentralized prediction market has an event such as which smartphone company, Apple or Samsung will sell the most units in 2018, and if 90 percent of the people bet on Apple, then this data could be highly useful for people are involved in the smart phone industry. Because cryptocurrencies are so new and so volatile, the wisdom of the crowds theory and decentralized prediction markets could potentially help to predict long-term trends and bubbles. 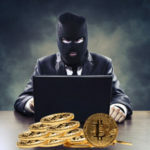 This could be especially helpful considering the fact that there are currently thousands of cryptocurrencies on the market. So any insight that can help investors figure out which cryptocurrencies will likely rise in value can be extremely beneficial. To understand how this would work, imagine that a decentralized prediction market such as Augur allowed people to bet on whether or not a given cryptocurrency, such as Monero, will double in value in six months. If 90% of the people but against this happening, it could mean that the price of Monero will likely stay the same or even fall. This data could be in enormously helpful to anyone who is thinking about investing in Monero. This increased accuracy for predicting cryptocurrency trends could potentially bring even more people into the crypto market, and boost the price of certain cryptocurrencies. However, if people are betting against certain other cryptocurrencies, then it could drive their prices down. The result of all of this betting on cryptocurrencies could be that some cryptocurrencies become even stronger, and others are weakened severely. It is yet to be determined exactly how much decentralized prediction markets and the wisdom of the crowds theory could impact the cryptocurrency markets. However, the potential is certainly there for these things to have a significant effect on them. Perhaps the most significant challenge to the wisdom of the crowd theory is that it is not always correct, and sometimes it is wrong in big ways. This means that people who rely on it to make all of their investing decisions could lose big. For example, in the early days of Bitcoin, the wisdom of the crowd probably would have predicted that Bitcoin would never become popular or even be worth a mere $30. This is because most people thought it was a useless and untrustworthy digital token when it first came out in 2009. However, as of December 2017 Bitcoin is currently worth about $16,500. So anyone who may have listened to the wisdom of the crowd in 2009 might have missed an incredible investing opportunity. The few people who were able to see the potential Bitcoin in 2009 probably made fortunes. Another challenge to the wisdom of the crowds theory, when it comes to cryptocurrency uses is that a lot of the wisdom of the crowds data will come from decentralize prediction markets, and these markets have not yet proven themselves to work properly. In fact, the decentralized prediction markets that are supposed to be the primary markets, such as Augur, are still under construction. So, it is yet to be determined just how much power these markets will have, and how much useful data will be able to be extracted from them. It could take years before we know whether or not decentralized prediction markets will be able to collect enough useful data to be used to accurately predict the outcomes of events. However, given the fact that people will be able to make money by making accurate bets on this site, there is a very good chance that these markets could rise in popularity very quickly as soon as they are available to the public for use. Because decentralized prediction markets run on blockchains like Ethereum and Bitcoin, the future of the wisdom of the crowds theory and cryptocurrencies appears to be strongly linked. If decentralized prediction markets prove to be a good way to get data that can be used by businesses, then it could cause the popularity of cryptocurrencies to spike. This is because many of the transactions made on decentralized prediction engines will be made with Bitcoin, Ethereum, and other cryptocurrencies. So, essentially, the wisdom of the crowd theory could push businesses to get heavily interested in decentralized prediction markets, and this could create a lot of interest in cryptocurrencies. Another thing that could happen in the future if platforms like Augur actually do end up being able to predict events accurately is that it could help shape political actions. For example, if things such as Brexit or similar events could be successfully predicted, then it could have a major impact on political policies. Everything from international trade deals to military agreements could potentially be effected by the wisdom of the crowd theory and accurate predictions from decentralized prediction markets. There is also the chance that being able to accurately predict events could actually change the course of events. Anyone who has seen movies the like the Back to the Future series, or Minority Report, can have an idea of how accurate future predictions can hypothetically cause people to change their actions, which results in a different future. Ultimately, we will not know exactly how the wisdom of the crowds theory will fully impact cryptocurrencies and the world at large until decentralized prediction markets start being heavily used. This is because decentralized prediction markets will greatly expand people’s ability to use the wisdom of the crowd theory for many different types of events. So, decentralized prediction markets will act as a testing ground for the wisdom of the crowds theory. If it turns out that decentralized prediction markets prove the wisdom of the crowds theory to be very accurate, then it could be much more heavily used throughout the world.